The service has been under testing since more than a year in various Indian cities. However, a new report now suggests that this broadband service will begin as early as next month. Reliance Jio is expected to finally launch the JioFiber commercially. The service has been under testing since more than a year in various Indian cities. However, a new report now suggests that this broadband service will begin as early as next month. The new service will create another major wave of disruption, this time in the broadband sector. Other major players like Airtel have already started pricing their data plans competitively. A report by Telecom Talk claims that the service will be launched officially launched by the end of the first quarter which is next month. Initially, JioFiber is expected to offer 100mbps speed with a data limit of 100GB. 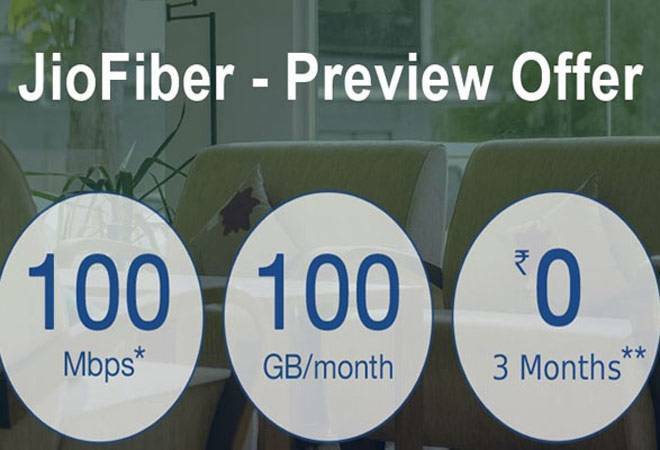 While this might not sound revolutionary per say, the effective price of Rs 0 will prompt a lot of first time subscribers to take up a JioFiber connection. As was the case with the Reliance Jio's introductory offers, the initial offers with JioFiber are expected to trigger a tariff war among popular network providers. However, unlike the cellular network, the Fiber will have to be spread across a wide network physically. This might give the competition a buffer time to cope with the aggressive pricing. Currently, JioFiber is being offered across a few localities in Mumbai, Delhi-NCR, Ahmedabad, Jamnagar, Surat and Vadodara under its JioFiber Preview Offer. Jio's broadband offer will come with a JioMedia share device, a smart set top box, routers and Power Line Communication devices, in a bid to promote additional Jio services. Later when the offer period ends, the broadband service prices are expected to start at Rs 500 for 600 GB data and for 1000 GB data at 100Mbps speed subscribers would be required to pay Rs 2,000 a month. Apart from Airtel, state-owned BSNL and MTNL networks will be affected by the entrance of Reliance Jio in the broadband arena.